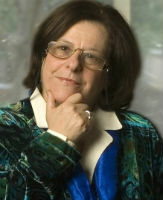 Rochel Gelman is widely-recognized as a pioneer in the investigation of cognitive development. She is known for her ground-breaking empirical and theoretical contributions to the field. Her vision, coupled with her creative new protocols, called into question long-held assumptions about preschool children’s cognitive competence and paved the way for more recent traditions in developmental science. Over the course of her career, Gelman has developed an elegant theoretical framework that takes into account both the early structure inherent in the young mind and the powerful role of learning. An outstanding mentor, she has inspired generations of students to become leaders in developmental cognitive science. Gelman’s work on early cognitive development was among the first to focus attention on the competences of preschool-aged children and infants. Her overarching goal is to achieve a theory that accommodates both the early learning that occurs with relative ease and the later learning that requires considerable effort, quality inputs, and protracted time. Her empirical work has focused primarily on very young children’s intuitive understanding of natural number and arithmetic, their earliest notions of the distinctions between animate and inanimate objects, and their acquisition of conversational competence. These foci have formed the foundation for her work in developing preschool curricula, aimed at supporting early advances in science and math. Of late, she has turned to considering older peoples’ difficulties in understanding rational numbers and other topics in science and mathematics. Raised in Toronto, Gelman received her Ph.D. from UCLA and began her academic career at Brown University before joining the faculty at the University of Pennsylvania (1968-1989), and then later at UCLA (1989-2000) and the Rutgers Center for Cognitive Science (RuCCS) (2000-present), where she holds the title of Distinguished Professor. At Penn, she was instrumental in developing Cognitive Science with support of the Sloane Foundation. At Rutgers, she served as Co-Director of RuCCS from 2002 -2011. More recently, she has initiated collaborative research ventures with the Institute of Psychology in Beijing, China. Gelman’s contributions have won her many honors. A member of the National Academy of Sciences and the American Academy of Arts and Sciences, Gelman is also the recipient of a Guggenheim Fellowship, a Mentor Award (Division 7 of the American Psychology Association), and senior research awards from both the American Psychological Society (William James Fellow) and the American Psychology Association (Distinguished Scientific Contribution). * The FABBS Foundation would like to thank Drs. Susan Gelman, Susan Goldin-Meadow, and Sandra Waxman for nominating Dr. Gelman for this honor and for leading the effort to spread the word about her nomination. Would you like to honor Dr. Gelman? It’s not too late to have your name added to the list of donors! You can make your donation to Dr. Gelman’s In Honor Of… campaign at anytime.